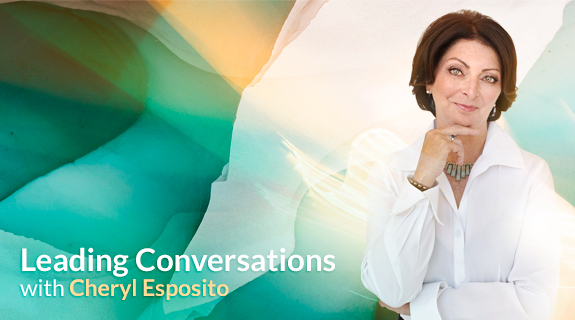 Cheryl Esposito welcomes Lynne McTaggart, award-winning journalist and author of worldwide bestsellers The Field, The Intention Experiment, and The Bond: Connecting Through the Space Between Us. Lynne’s book, The Bond, offers a new story of life and the human experience – a blueprint for a better life. Based on the latest discoveries from the new sciences, The Bond proposes that we succeed when we cooperate; that we are strong when we unite – we are weak when we compete. Every conflict that occurs is resolved only when we fully see and embrace the space – the bond – between us. We are inescapably connected, hardwired to each other at our most elemental level – from cells to whole societies. The desire to help others is so necessary that we experience it as one of our chief pleasures, and we succeed and prosper only when we see ourselves as part of a greater whole. Just how powerful is our connection? Can our collective thoughts and intentions influence and change the world? Can we intention a better life? Join Cheryl Esposito & Lynne McTaggart to create your own blueprint for a better life!